Please note: this article first appeared on the ESA Rosetta blog here. The instrument is designed to collect dust particles flung from the comet as it is heated by the Sun and becomes active. These dust particles are what make comets such dazzling light shows in the night sky. As comets pass through the inner Solar System, the ices buried below their dark surface are gradually heated. At some point they sublimate (the pressure is too low for liquid to exist, so the ices turns straight to a gas). As this gas streams away from the comet’s surface, it drags along dust particles – themselves tiny pieces of rock, ice and organic material. Sunlight reflected from billions of such particles result in the beautiful dust tails seen from Earth. By pointing telescopes at comets and their tails, astronomers have learned quite a lot about this dust – its approximate size, and sometimes even which minerals it contains. By looking at the way light is polarised as it reflects from the grains, we also know something about the shape: cometary dust particles are not spherical, but have a more complex shape. In fact dust is found all over the Solar System – not just behind your sofa! As the Earth moves around the Sun, we catch a lot of these particles (in fact several tonnes per day!). Special aircraft equipped with sticky collectors mounted on their wings collect these particles. Not all of these come from comets, but scientists studying these particles can make a good guess as to which do. These dust grains (known as “Interplanetary Dust Particles”, or IDPs) are indeed not round, but rather “fluffy”. The problem with these methods is that they don’t tell us about the microscopic nature of particles from a specific comet. Telescopic observations collect and average the light from billions of particles from a given comet, and IDPs give us very specific data, but we don’t know where they came from (their “provenance”). To find out more, we have to sample dust from a specific comet, and take many other measurements. Only when we have all the data can we understand what makes comets tick, and begin to unlock the secrets of the early Solar System. The Stardust mission did just this, and revolutionised our understanding of comets and cometary dust. But this was a flyby mission, and even though the dust was collected in the gentlest way possible, much of it was still broken or melted as it was collected. To really understand these fragile particles we need to rendezvous with a comet, collect dust, and analyse it there and then. And this is exactly what MIDAS will do, onboard Rosetta! One of the key advantages of Rosetta compared with previous missions is that we don’t just make a “flyby” but we catch up with, and stay alongside, the comet as it swoops through the inner Solar System. This means we can make detailed studies of the comet as it evolves, that is, as it is heated and begins to shed gas and dust. The instruments onboard Rosetta are specifically designed to take advantage of this; they are really miniature laboratories that can reach out and grab, touch and analyse the comet and its environment. 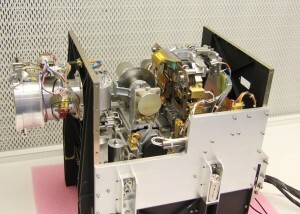 MIDAS is one of several instruments that will study cometary dust. COSIMA will collect dust and determine what it is made of, and GIADA measures how many dust particles there are, how big they are and how fast they move. MIDAS is interested in the smallest particles, which are typically 1 µm large. 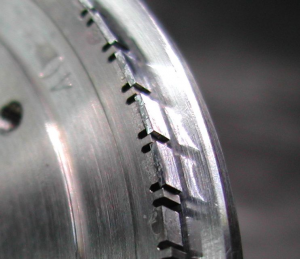 Remember that 1 µm is a millionth of a metre, and that a human hair is about 50 µm wide. So these are really small bits of rock! To collect particles MIDAS has a funnel, which usually points towards the comet. Behind this is a wheel with sticky targets mounted around its circumference. After dust has been collected, the wheel is rotated to move the dust to the microscope for analysis. An Atomic Force Microscope is a very special type of microscope. It doesn’t use light – the resolution of an optical image is limited by its wavelength, and we want to look at smaller details. Instead it works more like an old-fashioned record player; it has a sharp needle that is moved over the sample. Instead of music, we measure the deflection of this needle, and therefore the height of the sample. By scanning over the dust grain, line by line, we build a 3D picture. Knowing the size, shape and structure of these particles tells us about how and where these particles formed, how they interact with gas and light, how they stick to other particles and much more. #WakeUpRosetta – there’s still time! In my last blog post (“Coming out of the cold”) I talked a bit about how the Rosetta spacecraft, still slumbering in deep space hibernation, will wake up. 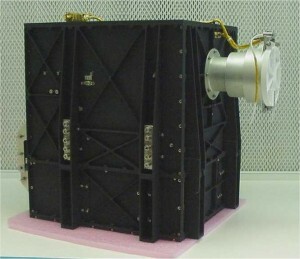 It’s a relatively well-known spacecraft, having been launched in 2004. Although we haven’t heard from her in two and a half years, everyone has high hopes that she’ll wake up on schedule and make contact. Posted in Science, Technology	| Tagged ESA, Rosetta, social media, WakeUpRosetta	| Comments Off on #WakeUpRosetta – there’s still time! As you can see, during the time that Rosetta has been flying, her target comet 67P/Churyumov–Gerasimenko (“Chury” to its friends) already made one close passage through the Solar System (67P has an orbital period of six and a half years). But in orbital mechanics, being in the right place at the right time isn’t enough – you also have to be travelling with the right speed. All previous comet missions were flybys. In a flyby the comet and spacecraft are in the right place, at the right time, but have very different velocities. Because of this they are close to each other for a scant few hours and observe the comet nucleus for only a fraction of its passage through the Solar System. Rosetta is something completely new – a comet rendezvous mission; Rosetta will catch up with comet 67P and stay with it for as long as possible, hopefully more than a year. This means we will be able to study the comet through a large part of its orbit – or at least the interesting bit, when it is close to the Sun! But to do this, Rosetta had to spend a decade playing interplanetary billiards to reach the right point, at the right time, and with the right velocity. Rosetta has specially developed, and rather large, solar panels (as seen in the picture above) to power it during its voyage. Even so, Rosetta was so far from the Sun during the final outbound loop of its journey that she didn’t receive enough precious sunlight to keep everything switched on – so she entered the long sleep of Deep Space Hibernation (DSH). In this phase almost everything on-board was switched off – all of the instruments, attitude and propulsion control, the navigation cameras, communications… pretty much everything. The only subsystems left on were the main computer, counting down the days, and some heaters. It’s worth remembering that, until this whole sequence of events has played out, we have almost no chance of hearing anything from Rosetta. So even though the alarm clock goes off at 10:00 UTC, we won’t hear anything until about 17:45 UTC. And even this time is not certain. Unlike most events in space that are planned to the second, we don’t know exactly how cold Rosetta will be, how much power will be available and how long the warm-up will take. But, all being well on the evening of 20th January, Rosetta will wake up. The official announcement will arrive via the @ESA_Rosetta Twitter account – so follow it now if you haven’t already! Although the MIDAS instrument primarily measures the shape of collected cometary dust particles, it also has a rather interesting mode which allows it to detect and map highly magnetic minerals and materials. 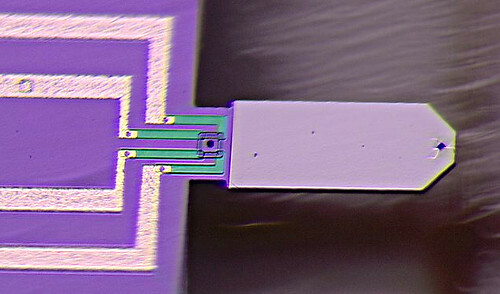 This is done by magnetic force microscopy (MFM), a special type of atomic force microscopy. Typically, AFM is only weakly sensitive to material properties, which is usually great, since we can measure the shape without worrying about how the type of material affects the measurement. However, magnetic forces act over a much larger distance than the van der Waals forces and repulsive contact forces that usually act between the tip and sample. We can use this fact to our advantage by magnetising some of our tips, and making two measurements. The first detects the surface topography, as usual. But then we move the tip a few tens of nanometres away from the dust grain and measure again. Although the tip is not in contact with the sample, it still “feels” the attraction or repulsion between the magnetic tip and magnetic grain. As a result we get two independent maps, one of the topography, and another of the magnetic properties. Technically this is done on MIDAS by adding a thin layer of a cobalt alloy to four of the sixteen tips. To make a magnetic image we then only have to select one of these tips and choose the magnetic retraction distance – how far we retreat from the surface after finding it. Too far and even the longer range magnetic forces will be too weak to influence the vibrating cantilever, too close and we risk other forces influencing our measurement. To test this in the lab, a good reference material is needed, which had a well defined magnetic pattern of an appropriate size. One option that meets these requirements is a slice of hard drive! In recent years the data density and hence storage capacity of a typical hard drive had increased dramatically. As such, a selection of hard drive segments gives a nice collection of magnetic patterns to image. The science that this type of measurement could enable is the subject of another post, but soon we’ll be adding some hard drive samples to our flight spare (FS) instrument and start evaluating how best to make such measurements, in preparation for arrival at the comet in 2014!